Add some extra kick with team flavor to your game day attire whenever you wear this scarf. 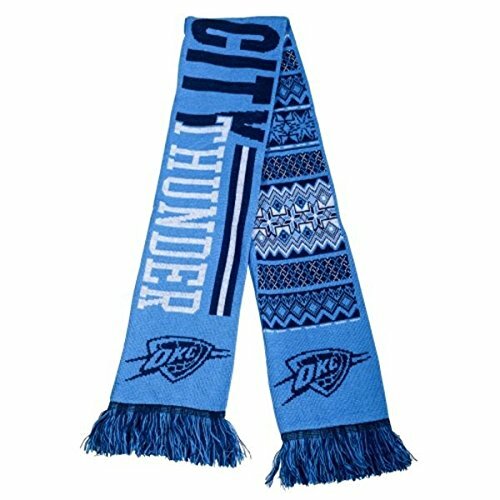 It features team logo and other woven graphics to make it the most out of the ordinary scarf you've ever seen! Measures approximately 7"x32" with woven graphics and fringed ends for accent. Officially licensed by the Oklahoma City Thunder and the NBA.